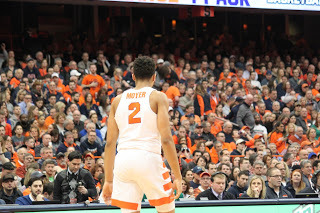 SYRACUSE, N.Y. – Syracuse Orange lost on Saturday in the Carrier Dome against the No. 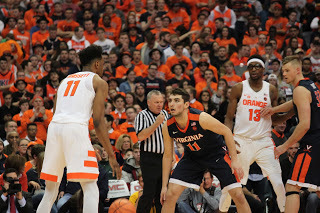 2 ranked Virginia Cavaliers, 59-44. This game marked the second meeting for teams this season. 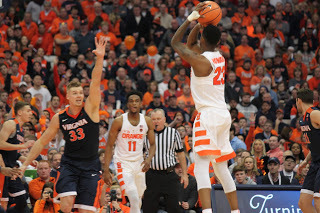 Virginia was 1-2 against the Orange in the Carrier Dome coming into Saturday’s game. The Cavaliers are No. 1 in ACC play with an undefeated season, 11-0. 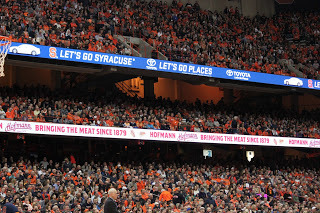 Syracuse, on the other hand, are 4-6 in ACC play. Virginia extended their win streak to 14 with the win over Syracuse. This marks their longest streak since the 2014-2015 season. Virginia’s head coach Tony Bennett extended his record against Syracuse to 5-2. 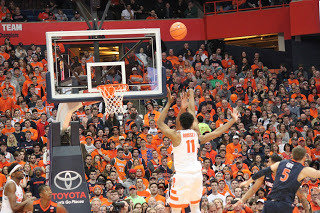 Starting the game, the Orange maintained possession of the ball. 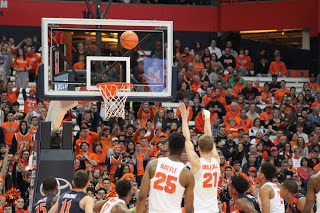 With good ball movement, Syracuse was able to keep the score close within the first seven minutes of play. The Orange stayed within five points of the Cavaliers until the six-minute mark. 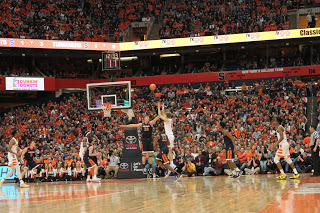 The Cavaliers started to pull away from the Orange once Syracuse begin to lack control of the ball. 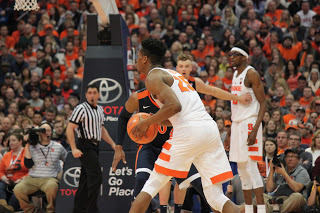 Syracuse forward Oshae Brissett led the team with four rebounds and seven points in the first half. Marek Dolezaj had three rebounds with only two points in the first. 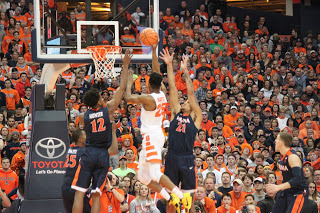 The Orange not only had good ball movement but with their heavy press defense at some points put a lot of pressure. The Cavaliers lead Division I basketball in scoring defense at 52.7. 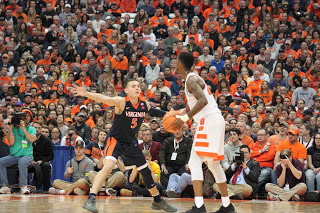 Virginia’s defense held Syracuse to 44 total points which is the lowest number of points scored in Dome history. 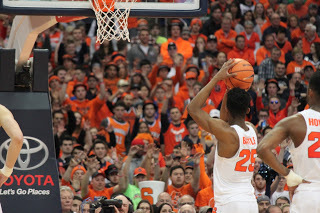 Syracuse only had 21 points at the end of the first half. 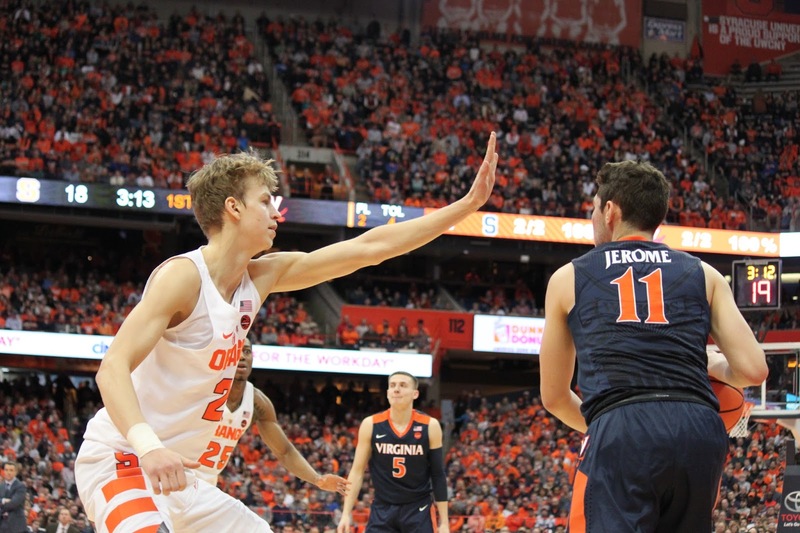 The Orange had four turnovers in the first half, Virginia only had three. Orange heavily forced their press defense on the Cavaliers forcing them to take unwanted shots. Virgina’s De’Andre Hunter led the Cavaliers with 15 points and six assists. 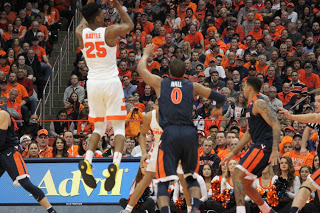 Tyus Battle scored his 22nd double-digit game of the season with 15 points. The Orange came into the second half, a different team. 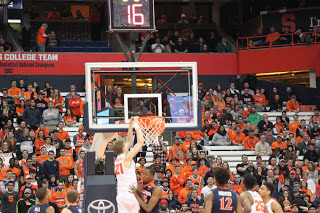 Marek Dolezaj opened the half for the Orange with a dunk that excited the crowd. “I’m trying to be more aggressive to the basket and I’m trying to do that every game,” Dolezaj said. 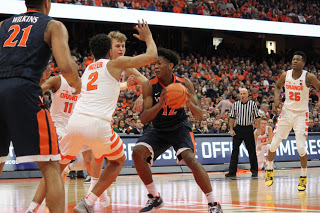 In the end, Syracuse struggled to stop the Virginia offense as they kept answering right back with points. Orange had spurts of momentum but were forced to take sloppy shots which resulted in the Cavaliers continuing to pull away. 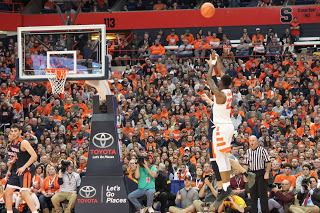 “We rely on our two guards to score and make plays and when they don’t we have a problem offensively,” Boeheim said.